Have you ever dreamed of being a chef, florist, or fashion blogger? Spark your creativity and join us for one (or all!) 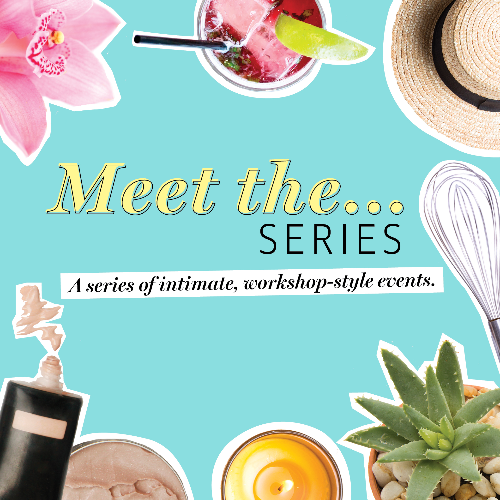 of our workshop-style events hosted by some of our favorite local experts. This exciting series will bring our cover stories and features to life providing you with unique, interactive, and insider experiences. Visit bmag.co/meettheseries for more information!